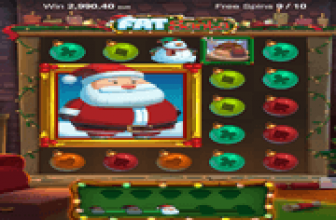 Ice Ice Yeti online slot by NoLimitCity Studio delivers up to 16,807 ways to win on 3 or more alike symbols aligned in connected reels. Convergences of matched arrangements though must start from the leftmost reel, in order to yield payouts. 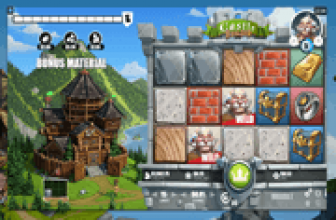 Albeit built in a 5-reel grid with 7 rows of symbols, the game activates only the three (3) center rows during regular rolls. The 1st and 2nd rows, as well as the 6th and 7th, reveal some contents only when the “Yeti Shake” Feature transpires; or if a Yeti Wild emerges. Here, bonus wins are awarded by way of two (2) types of Respin Features; initiated either by a Yeti Wild or by a random Sticky Symbol. Both features are capable of delivering awesome extra winnings, especially if Respins continuously yield a win outcome. That being the case, resulting payouts garnered on each respin, will be summed up and awarded in lump sum as earnings of a single spin. Two types of Wild elements may land on any reel: a Blue W or a Yellow W token. Blue W Wilds reveal a Yeti image as eligible substitute icons. On its own, a Yeti Wild can trigger one of two Respin features, while locking in place during the free turn. At the same time, the event will break 2 or more of the frozen symbols held by the 4 inactive reels. A Yeti Wild therefore increases the number of win-ways available to all active symbols. Should another Yeti Wild appear, frozen symbols will once again break to reveal additional icons. Yellow W Wilds usually emerge by way of frozen blocks. If the activated Yellow Wild in view helped complete or expand a winning combination, the winning icon may turn into a Sticky Symbol. If it does not, the Yellow W disappears because the position reverts to its frozen state. Sticky Symbol – A Sticky Symbol can also set-off a Respin event: whilst staying sticky in the Respin that follows. A Yeti Wild is a natural Sticky Symbol, being part of its attribute when triggering a Respin. At random occasions, any of the frozen blocks of icons may shake and break 2 up to 10 positions for no particular reason at all. Such an occurrence, increases the number of active elements and win ways that yield payouts via matched combos. Aside from the occasional “Yeti Shake,” ice blocks may also break if a Yeti Wild emerges. An Ice Ice Yeti Wild is significant, as it naturally sets off a Respin. Just to be clear, the “Yeti Shake” does not trigger a Respin. Not unless, a special event transpires thereafter. An activated Respin Feature continue if free rolls constantly and uninterruptedly produce winning outcomes. If so, winnings accumulate, as they will be credited once the feature ends by way of a non-productive Respin. Another way of activating the Respin Feature is via the Yellow W icons that helped complete a win-way. The Yellow W icon will turn into a Sticky Symbol of the winning image, and will lock in place during the ensuing free roll. Ice Ice Yeti : Awesome Respin Features May Bring on Monstrous Wins! 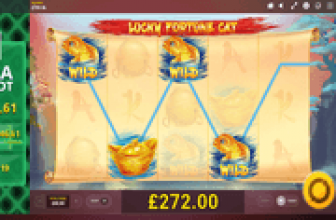 Ice Ice Yeti online slot comes with 2 awesome Respin Features initiated by Wild Symbols. If a Blue W Wild Symbol is in place, it automatically reveals a Yeti Wild capable of activating one or more Respins. A Yeti Wild also increases the number of win-ways as it also causes some frozen symbols to break. A Yellow W Wild, on the other hand, may appear as outcome of a broken ice block. It can also trigger a Respin, but only if the Yellow W Wild helped complete or lengthen a winning arrangement.